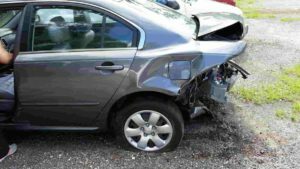 Rear-end accidents may not be as catastrophic as head-on collisions, but they can still cause considerable damage in certain circumstances. According to The Washington Post, there are approximately 1.7 million rear-end crashes on American roadways every year. These wrecks result in roughly 1,700 fatalities and 500,000 injuries. Although these statistics are devastating, the National Transportation Safety Board estimates that collision avoidance systems could easily prevent 80 percent of these casualties. Researchers have determined that front-crash prevention features, especially those that brake automatically, can reduce the number of rear-end collisions significantly. Front-crash prevention technology has the potential to reduce rear-end accident rates significantly. Leaving plenty of stopping distance between your car and the vehicle directly ahead of you is one of the easiest ways to avoid rear-end collisions. The National Safety Council normally recommends leaving three to four seconds between vehicles; however, when the roads are slick from rain, snow, or ice, you should increase following distance until you are eight to 10 seconds behind the next car. If the vehicle ahead were to stop short, could you change lanes or pull onto the shoulder to avoid causing an accident? By constantly scanning your surroundings, you will be able to make evasive maneuvers safely and decisively should the need arise. When driving in traffic—especially heavy congestion—you want to avoid not only causing a rear-end collision but also falling victim to one. To reduce the risk of the vehicle behind you striking yours, follow the rules of the road and try to drive in a predictable manner at all times. The flow of traffic can change in an instant. In the five seconds it takes to type a quick text message, the cars just ahead could come to a standstill. If you are looking down at your phone, you will have no idea of this change and will be unable to respond in time to avoid a rear-end collision. Falling victim to common driving distractions when traveling at high speeds is especially dangerous—and rear-end crashes that happen at high speeds are especially catastrophic. According to the Centers for Disease Control and Prevention, typing a short text message calls for five seconds of your attention, which is long enough to cover an entire football when traveling at 55 mph. A lot of hazards could arise over the course of 120 yards, and failing to react to many of them could ultimately result in a rear-end wreck. Be honest: When you come across a yellow light, do you speed up to make the intersection or slow down for the red? A lot of motorists will admit to speeding up, but doing so could force you to slam on the breaks if the light changes before you pass. This will not only increase the risk of a rear-end collision, but it will also contribute to the wear and tear of the vehicle. A much safer habit is to decelerate gradually upon approaching a light. This will prevent those behind you from having to brake hard, and it doesn’t place too much faith in them or their attentiveness. Other effective ways to avoid rear-end crashes include maintaining your brake lights and checking your mirrors and blind spots diligently before maneuvering in traffic. In most rear-end scenarios, the motorist in back is at fault; however, you should still do everything in your power to prevent someone from hitting you. If everyone drove with the intention of avoiding rear-end collisions, millions of accidents and thousands of fatalities would be prevented every year.